MUMBAI: The rupee edged 2 paise higher to 68.51 against the U.S. dollar in early trade on March 19 ahead of the Federal Reserve's policy meet. Besides the greenback's weakness against some currencies overseas, increased selling of the American currency by exporters as well as banks supported the rupee, Forex dealers said. A higher opening in the domestic equity market influenced the currency's movement, they added. 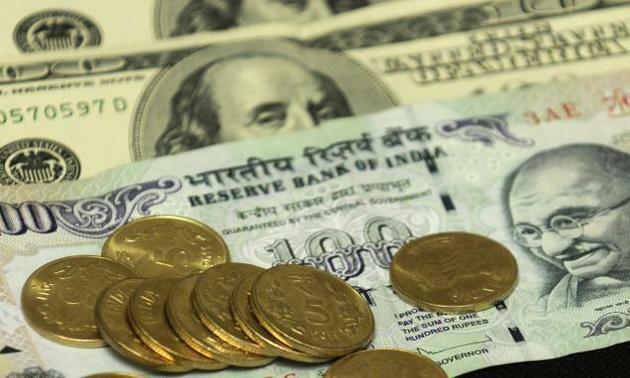 On March 18, the domestic unit had surged by 57 paise to close at an over seven-month high of 68.53 against the U.S. dollar, also marking a sixth straight session of gains, driven by sustained foreign fund inflows and narrowing trade deficit. On a net basis, foreign portfolio investors (FPIs) bought shares worth ₹1,823 crore, while domestic institutional investors (DIIs) sold shares worth ₹1,269 crore on March 18, provisional data showed. Meanwhile, the benchmark BSE Sensex rose 83.10 points, or 0.22%, to 38,178.17 in early trade.